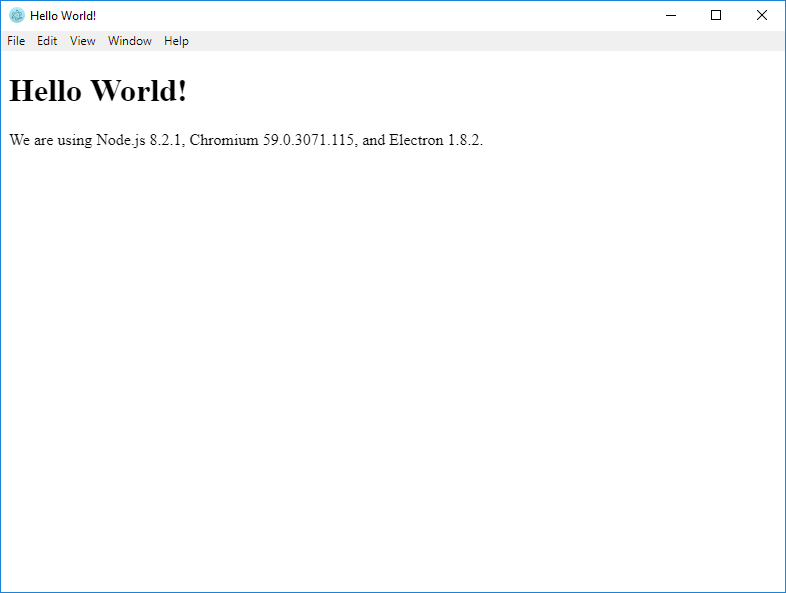 This is a simple HTML file, as you can see from the comment, all of Node's APIs are available to the renderer process, which is why you have access to the process API (Line 10, 11, 12) that displays the version of Node.js , Chrome and Electron.js inside this HTML file. You should see something similar to following image on your screen. 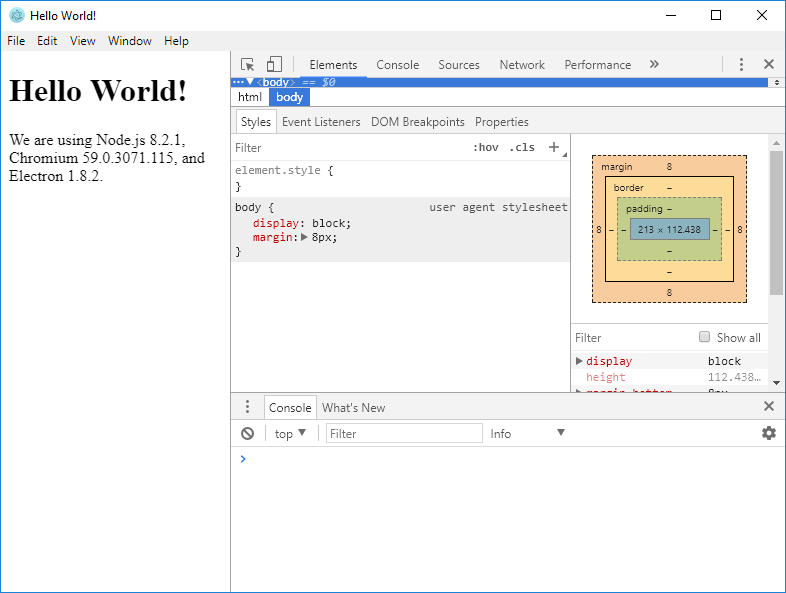 Electron supports the Chrome DevTools Extension, which can be used to extend the ability of devtools for debugging popular web frameworks. See https://electronjs.org/docs/tutorial/devtools-extension. Find the line where you loaded index.html file at mainWindow . loadURL ('file://' + __dirname + '/index.html'). Add mainWindow .webContents .openDevTools() after the above line. Now close your app if already running then re-run again and you should see something similar to following image on your screen. The npm install will install the dependencies of the above repository (including Electron). The npm start will execute the app.